I lean back, close my eyes, open my ears, drink in the sounds… and very soon, I am surrendering my tension and anxiety to the Prince of Peace. Once surrendered, I am carried along in the ebb and flow waters of beautiful sonic soundscapes, skilful artistry and thematic hooks and progressions. I drift. Not aimlessly, but toward a grace-filled remembering that God is not limited to our ways. He holds the universe, the planet, the country, my family and even my day in His very capable and very caring hands. How did I take that journey? What vehicle or route did I take for just such an adventure? 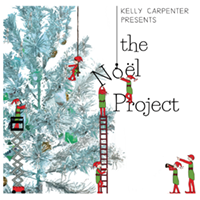 Quite simply, I took this journey via a new “Passage” – the latest instrumental CD from singer/ songwriter/ musician Kelly Carpenter. 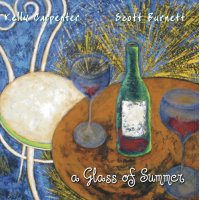 Using perfect sound beds, a gracious 5-peice core ensemble, and a light sprinkling of violin, Kelly Carpenter achieves a wonderful balance of ethereal space, melodic hooks and rhythmic structure that you are lifted almost effortlessly from our dense world of noise and confusion into another world of reflective and deepening peace. Keyboard is primary, and brings center to this recording, but it is not agrandized against the better use of a more perfect sound for any single song. Occasionally, a swelling electric takes you buy the hand, then the drums walk you to the next section, but you never feel ripped or pushed or unceremoniously dumped from one musical context to another. It is all well envisioned, well planned and well executed. While the entire track list of this peerless experience is new material, save one track, I couldn’t shake the feeling that all the tasteful riffing and discourse was warmly familiar. Our first aural glimpse of the violin happens with the prelude and main section of the only covered song on this project- an instrumental version of the David Ruis classic “Whom Have I But You” anchors the early section of the album with perfect positioning. We don’t hear the violin return until track 11, and when it does, only subtly it glides us gently along, delivering us to the homestretch of this wonderful experience (into which tracks 12 and 13 are aptly named “Final Journey” and “Embrace”). Because this album is something of an experimental journey, you would think that the result would feel ultimately lost. But nothing could be further from the result on this album. Passage succeeds at both projecting and reaching its target of enraptured peace through the transcendance of music. It also succeeds at making the journey without formulizing the route. You don’t arrive at the end of each song in the same time, groove, style or arrangement as you did from the previous song. This project breathes of creativity, and settles for nothing less than artistic brilliance. After listening through it no less than 20 times, I love it even more now than the first time I listened. This is rarely the case with instrumental music, which often bores the attuned listener after a half a dozen plays. I strongly encourage you to check out Kelly Carpenter’s wonderful new album, Passage.